Every time I see vacation pictures of foreigners who have been to Palawan I couldn’t help but be bitter. Why do these people who actually live thousands of miles away from the Philippines could get there, while I, who doesn’t even need a passport, couldn’t. So I told myself I will get my arse there one way or another, and what did you know, this year I made it happen. The plan for this ultimate summer getaway began as early as December last year. Just like in my Baler and Ilocos trip, I shared this adventure with some friends from the office, with the regulars, Rhoda, Paolo, and Alchris, and some new peeps, Martha and Dennis. We picked Palawan over Camiguin, Bohol, and Boracay, and voted Coron over Puerto Princesa. In January, as soon we as received our leave conversion pay, we booked a round trip flight to Busuanga via Cebu Pacific. On the day that we booked the trip, I chanced upon a promo in CebuPac and quickly informed my travel buddies about it. Unfortunately, they were too busy to pay attention to me. Only Alchris and I were able to avail of the promo while the rest who booked a tad too late, paid PHP3,438.00 (USD74.67). Lesson learned: when there is a promo and I bug you about it, you should know better than to ignore me. Because Alchris and I are practically neighbors, we went to the airport together. It was my first time to step on NAIA and take a commercial flight so it sort of added to my excitement. We were there as early as 9AM and decided to kill time at the Well Wisher’s Area. At around 11AM, we met with Dennis and Pao and proceeded to the check-in counter. If you’re wondering why I didn’t mention Rhoda and Martha, it’s because they took the 3PM flight. By air, you can choose to fly either through Philippine Airlines (PAL) or Cebu Pacific. 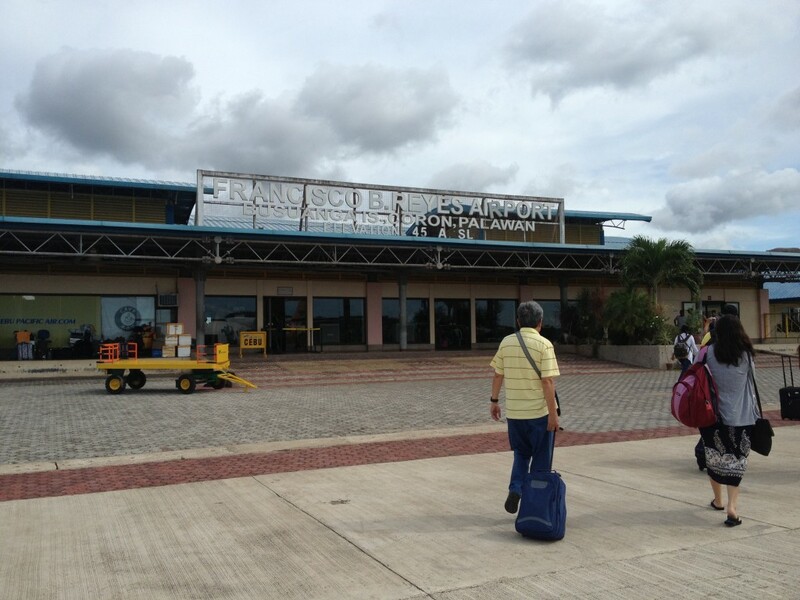 Travel time is about an hour from Francisco B. Reyes Airport. 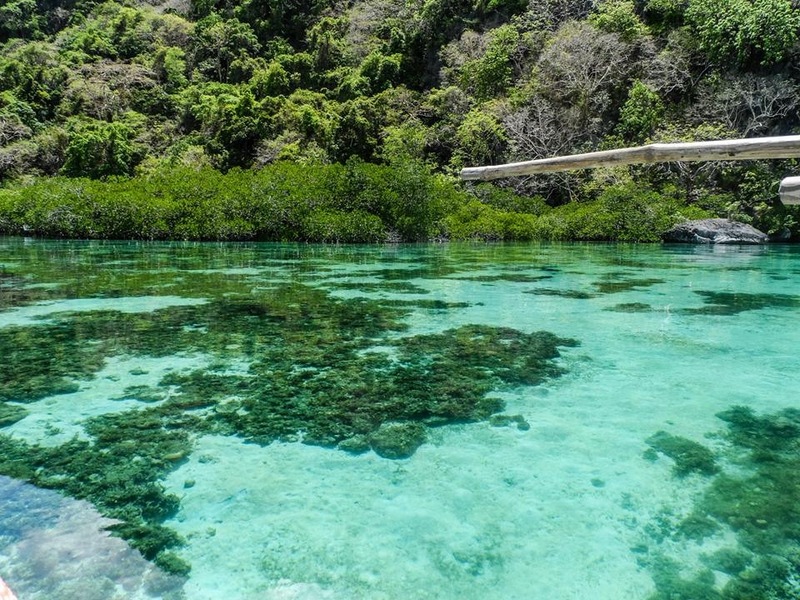 By sea, you can take the Go Travel route from Manila to Coron. It’s another 15-minute land travel to get to the Coastal Road, you can have this arranged by the place where you are staying. 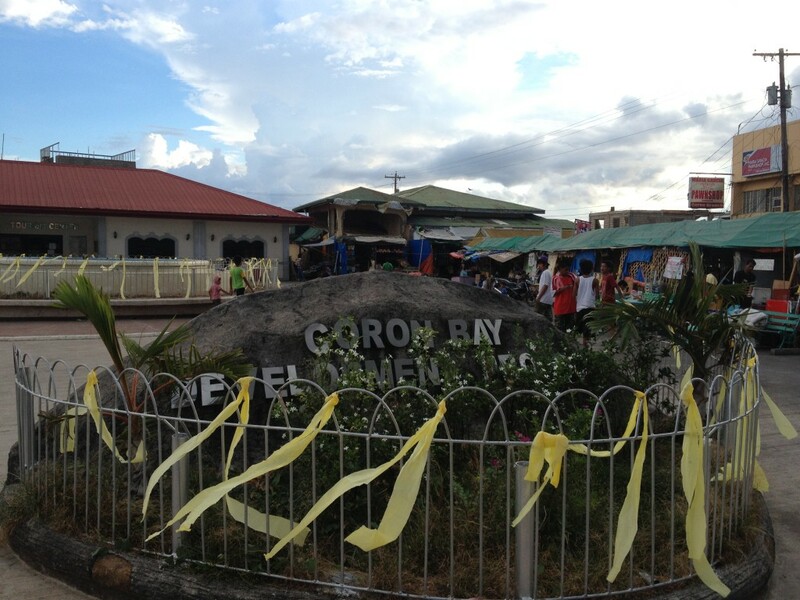 Aside from the usual island hopping, you can also do a little bit of a city tour in Coron. We wasted no time and hired a tricycle driver. He took us to Mt. Tapyas, Maquinit Hot Spring, and Blue Lagoon Restaurant. Tricycles in Coron are wider, have more seats, and could actually take us all. Our first stop was Mt. Tapyas, which according to Tezz, has a great view of the sunset. What she didn’t tell us is that seeing that view entails conquering a loooong flight of stairs! None of us had any clue that there were 724 steps ahead of us. 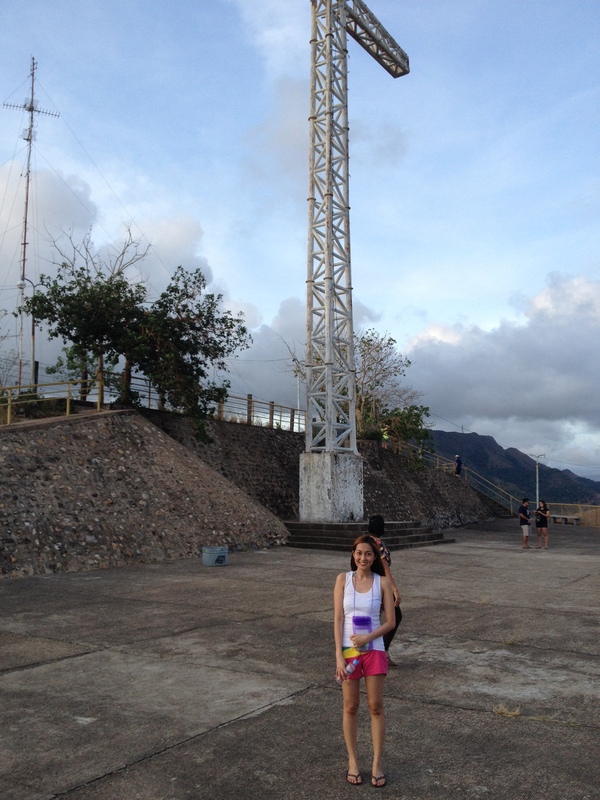 But we went up anyway, as we say in Filipino, nagkasubuan na. Finally, we reached the effing top and what did we see? This gigantic cross. The view above was simply breath-taking. Note that I was just using my camera phone so don’t expect that the photos here will do it justice. So let’s just say I’m just giving you a clue on what you could see up there. After we took some photos and ensured that our hearts were beating normally again, we went our way back. We reached the place at night time so I’m sorry that I wouldn’t be able to show you the beauty of the place. So we started by dipping our feet, testing if we could take the heat, then slowly immersed our bodies into the water. I don’t know how to estimate the temperature but according to Alchris, it may be somewhere between 38 to 40 degrees. Since we were all tired from that “surprise hiking” to Mt. 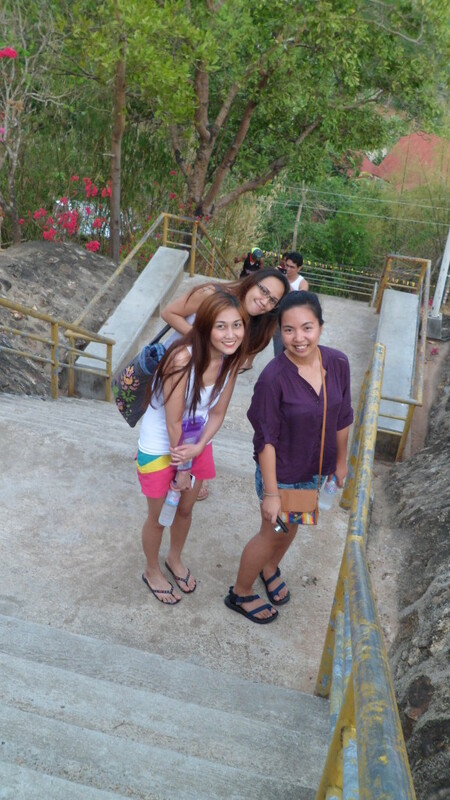 Tapyas, the hot spring did wonders to our aching muscles. Patrik & Tezz is just a walking distance to the town proper so in some days during our trip, we were out on the street looking for food to eat or souvenir to buy. 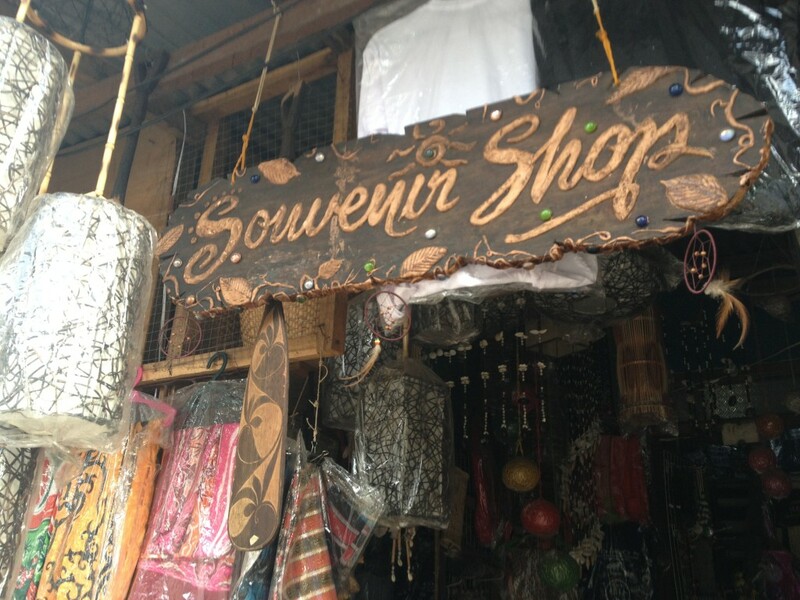 The souvenir shops can be found near the market. Aside from accommodation, breakfast, and lunch, the tour was also included in our package with Patrik & Tezz. It means we didn’t have to worry about the environmental fee, boat fee, entrance fee, and all other forms of fee during the entire trip. 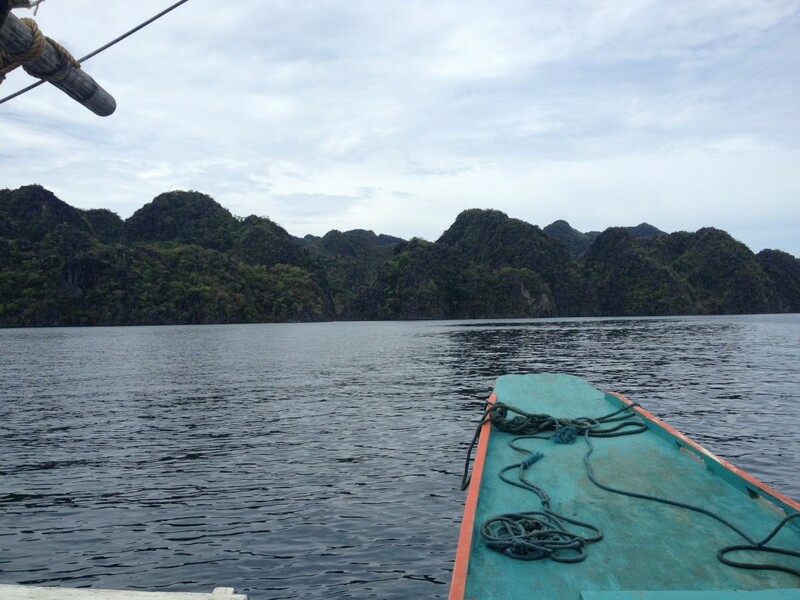 We had a nice boat, definitely way better than the ones in Caramoan. Not only is it bigger, it also has benches on each side of the boat, a ladder, a hammock, and most of all, it has a freaking toilet! The biggest challenge I think that I had in Caramoan was dealing with the call of nature. The boat and the islands we went to had no toilets so we had to relieve ourselves into the sea. I’m telling you, it was not the best feeling in the world, so I was glad that I didn’t have to repeat the experience in Palawan. Siete Pecados means Seven Sins, not referring to the biblical version but to this local legend that seven sisters who went swimming and died from drowning. From where they drowned, seven islands emerged. I’m sorry I didn’t get to take many pictures in Siete Pecados. What I remember about the place though is that the water current was a bit strong. It has a shipwreck site that is so beautiful. 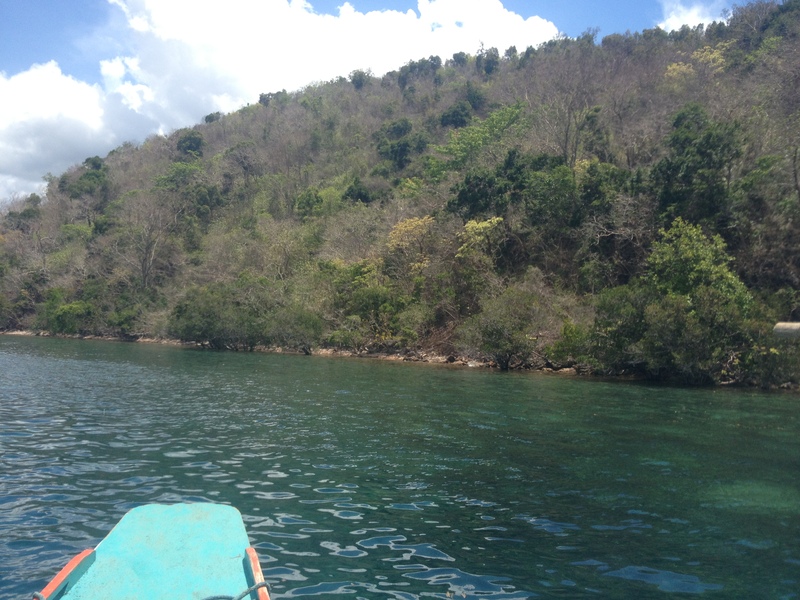 And it is memorable just because that’s where I had my first snorkeling experience. Before this trip, I have never tried snorkeling, ever, and it’s on my bucket list so I was naturally ecstatic about this adventure. We rented snorkeling gears from the P&T guesthouse, it’s PHP150 per day. Of course, I didn’t know how to use it so I struggled in my first few tries. The water always managed to get its way inside my goggles and I wasn’t sure how to breathe through the mouthpiece, because really, how many of us just use our mouths for breathing? Eventually though you sort of get the hang of it. After I made some adjustments with my goggles, I could finally see underwater, then I don’t know, suddenly I was breathing through the mouthpiece. So it wasn’t as hard as I thought after all. Kayangan Lake, also known as Blue Lagoon, has a steep reputation of being the cleanest lake in the Philippines. Martha swore to us that the lake looked just as beautiful as in pictures so I had high expectations about the place. I am happy to report that I was not disappointed. Before we went to the lake she led us to this spot where you could have a good view of the Blue Lagoon. It involved climbing… again. Good thing it didn’t involve 700 steps this time. So we reached the “spot” that has a cave, but we didn’t bother going inside, and just posed for some pictures by its mouth. Now opposite that cave is this majestic view of the Blue Lagoon. After that mandatory photo session in the boulder, we continued our way to see Kayangan. This time, we had to descend the slippery stairs. 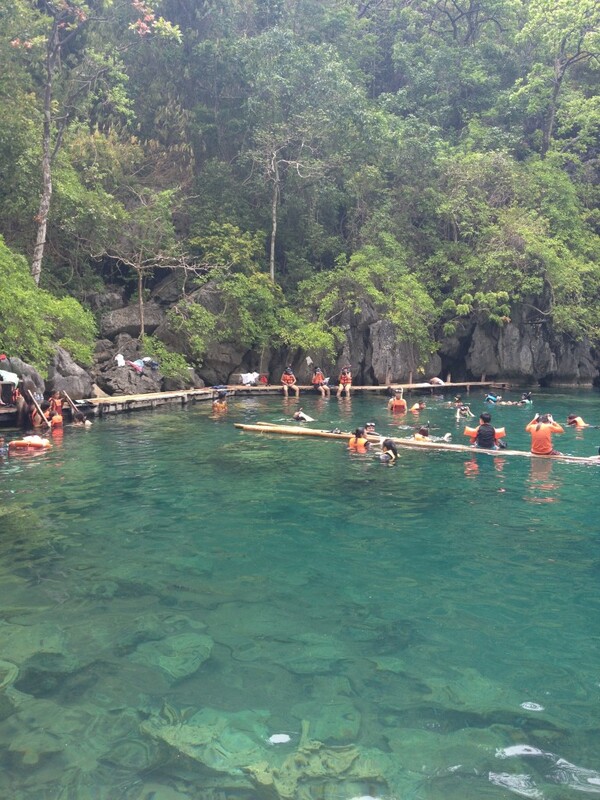 Then lo and behold, it’s the Kayangan Lake! those pictures you see ’round the Internet, they weren’t lying. The water is crystal clear. 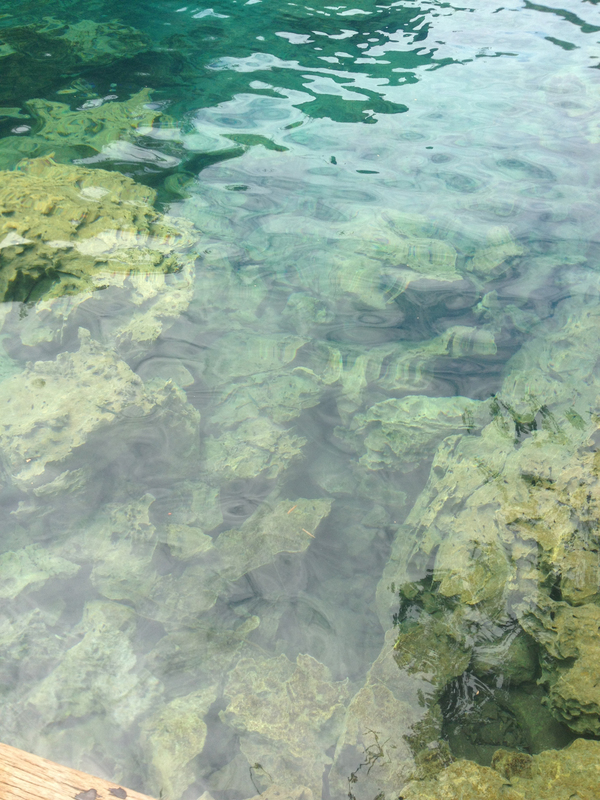 I was beyond impressed, I mean just look at how clear the water is. Come lunch time we were already in Banol Beach, which without question, the most beautiful beach I’ve ever seen. I like that it’s small, has fine white sand, few cottages, and pristine water. If you go to Coron without a package tour, you may visit this island for only 100 pesos per head. 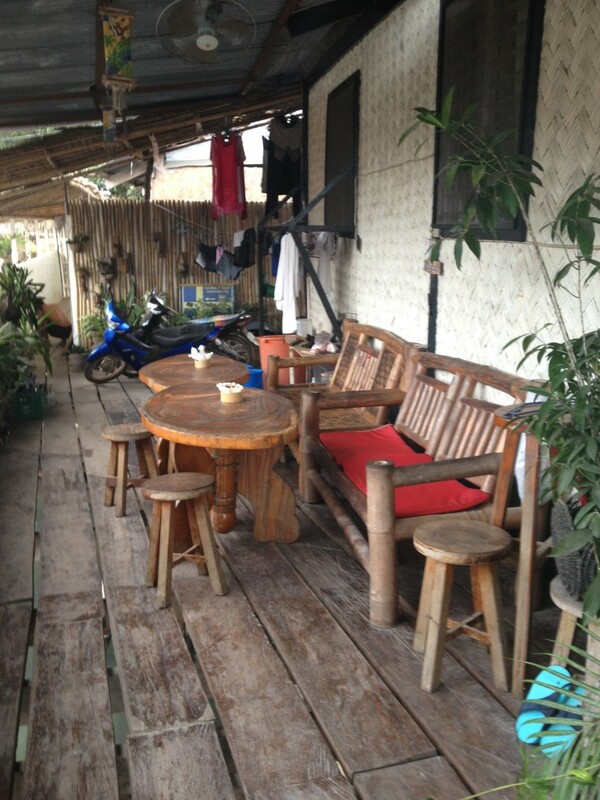 There is a little store in the island, but it doesn’t really offer much. It is manned by the same people who maintain Banol. The cottages had long tables and benches where people could have a picnic. The sand was so white and fine, we wondered if it comes close to that in Boracay. We stayed in Banol for like two to three hours. After we had our lunch, my companions took a swim while I preferred to laze around on the boat, lying on the hammock. Now that I mentioned it, I think all boats should have hammocks. I mean, really, it helps set that relaxing island vibe. As the name implies, the place has two lagoons. The first lagoon is where the boats dock, while the other lies beyond these great rock formations. People swim in the one that is hidden, to get there you need to take this bridge made of bamboo. Then you swim your way to those wooden stairs (or swim below those). Past those stairs is the second lagoon where the water is a bit colder and darker, which tells me it’s a lot deeper than Kayangan lake. This means that snorkeling gear is practically useless here. I found the first lagoon much more beautiful though than the one that is hidden. It didn’t help that the water was a bit dirty. There are leaves and twigs, and by golly the area also reeked of this foul smell that would remind you of a dog that could use a bath. 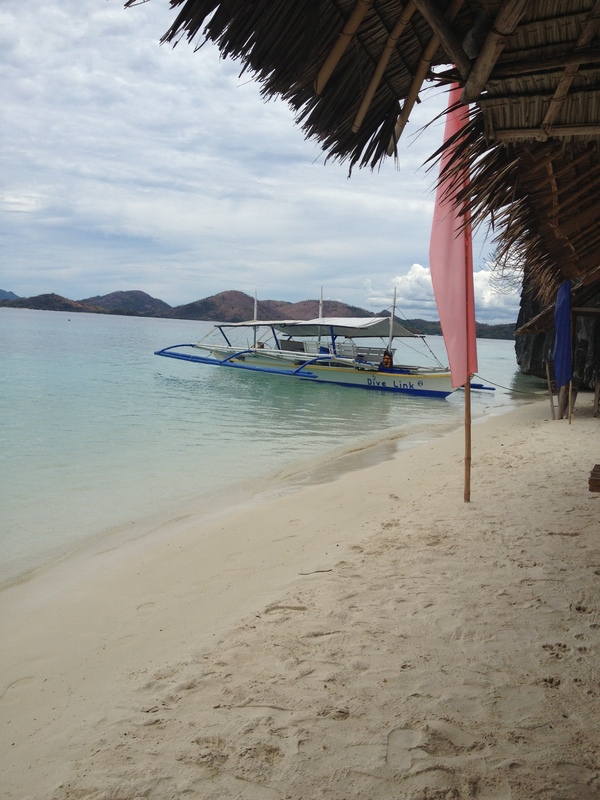 Sangat Island is also known as Tangat, our first snorkeling destination on our day 3 in Coron. It all began with a feeding program. 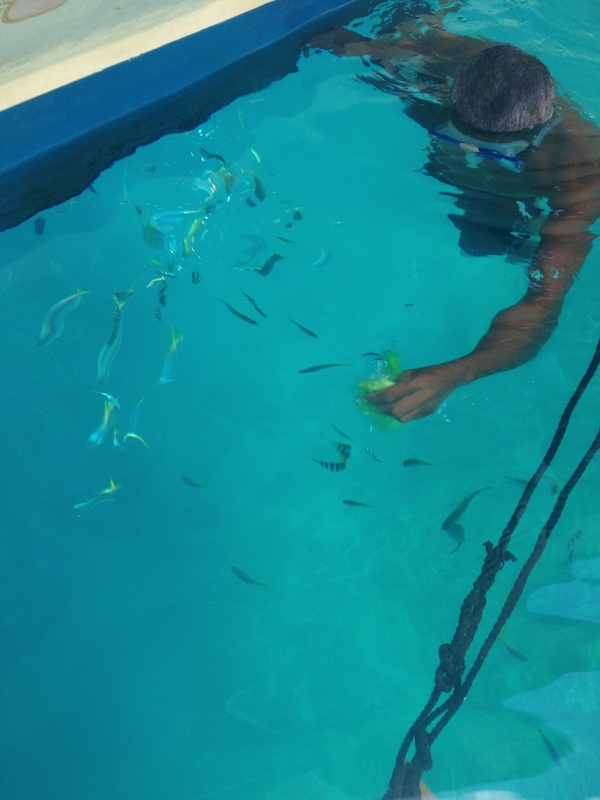 Well… the captain’s assistant did something to attract the fish; he fed them with rice. Under the crystal blue water is the East Tangat gunboat that is about 40 meters long. 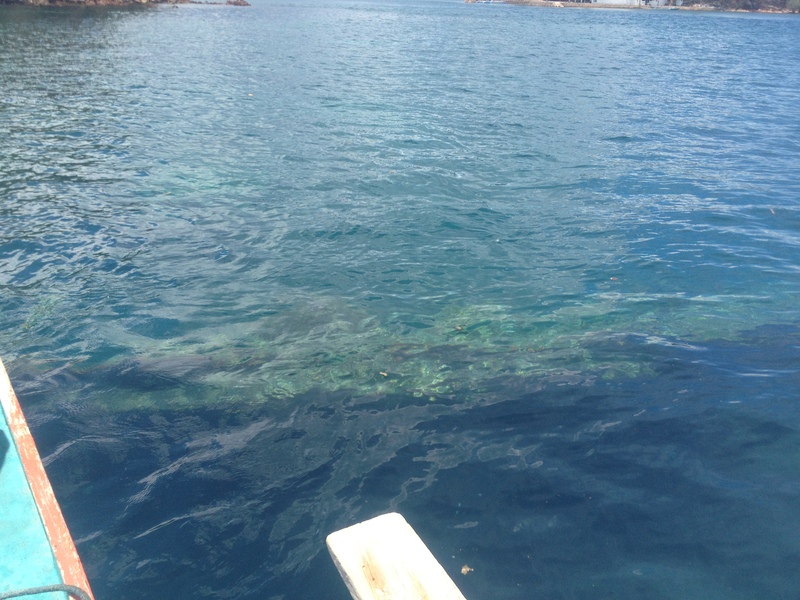 Snorkelers will have no trouble seeing the sunken beauty as the wreck begins at 3 meters down. Since none of us owned a waterproof camera I made do with my phone, which I secured inside my waterproof pouch. It was a little hard to press the button underwater, at times it didn’t work, but I’m glad that I was able to take this one shot. This is the day I’ve developed real appreciation for snorkeling. I don’t usually swim in deep waters, not especially out in the sea, because I have always been scared of drowning, sharks, tsunami, and other water-related risks, but that day I was unusually bold. Maybe it’s because of my life vest so I was assured that even if I lack great swimming skills, I wouldn’t drown, maybe because we have Pao who is a real good swimmer, or maybe my fascination with the beauty of the underwater world proved to be bigger than my fear. 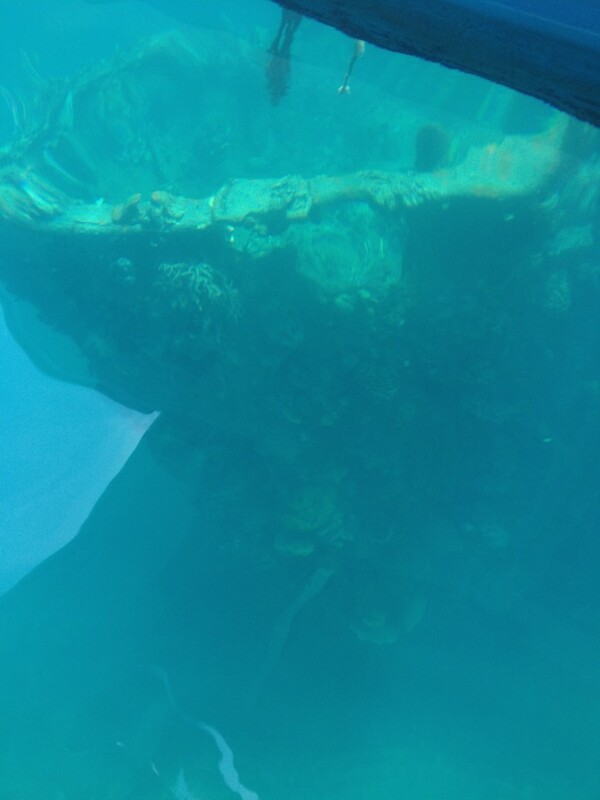 There were the corals and reefs, the fishes of different sizes and colors, and the hauntingly beautiful sunken ships. I realized there is a whole different world down there and it’s peaceful, rugged, and charming. I was in awe and I couldn’t believe it took me this long to undertake such incredible experience. Sangat Hot Springs looked majestic even from afar, but we weren’t able to explore it because of the sign that says that it’s closed. I can’t tell much about this place because we didn’t stay long here and all we ever saw were corals and reefs (but hey they’re beautiful). Next shipwreck site we visited is Lusong gunboat near Lusong Island. We were surprised to find that the boat didn’t sink too deep. In fact, the stern breaks the surface of the water when it’s low tide according to our boatmen, and you need not try too hard to see it. You can make out the shape of the ship even from the surface. This is where we stayed longer because it was the last destination of the day. We still wanted to go to a beach but according to our boatmen, we no longer had enough fuel to travel far. We were a bit disappointed but no longer pushed the subject because the last thing we wanted is to be stranded. 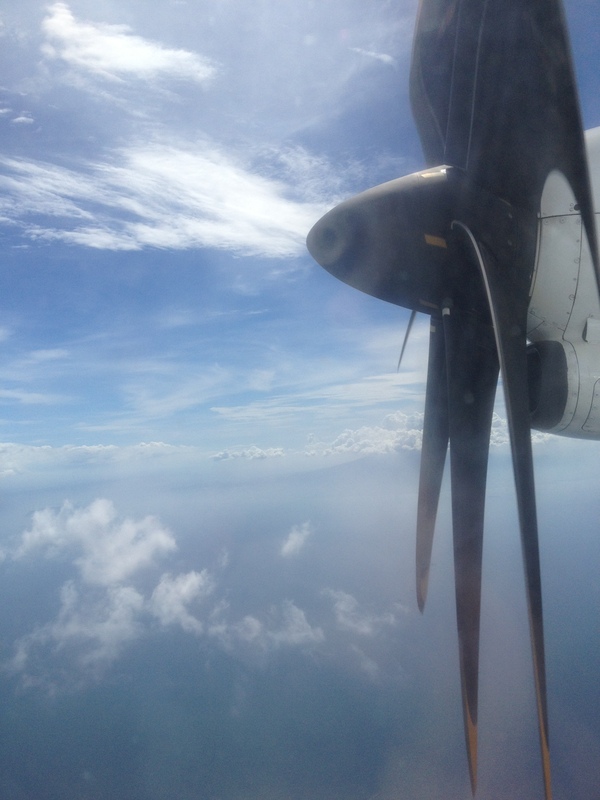 And so our island-hopping trip ended a bit earlier than expected. We were back to Patrik & Tezz at around 1:00 in the afternoon, which greatly surprised Tezz. She asked me how come we were back so early. I literally struggled to come up with a reason because I wasn’t sure if I should tell her that our boatmen didn’t bring enough fuel to take us to more places. Then I decided to just reason that we’ve no other place to go. 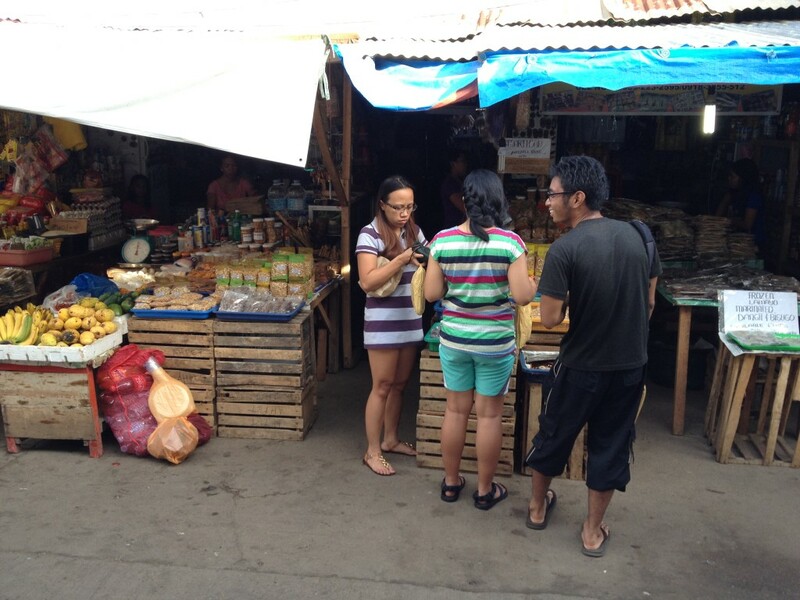 One of our favorite activities when were in Coron, was eating (well, don’t we all?). For your reference, here’s a list of my reviews of the food establishments that we tried. 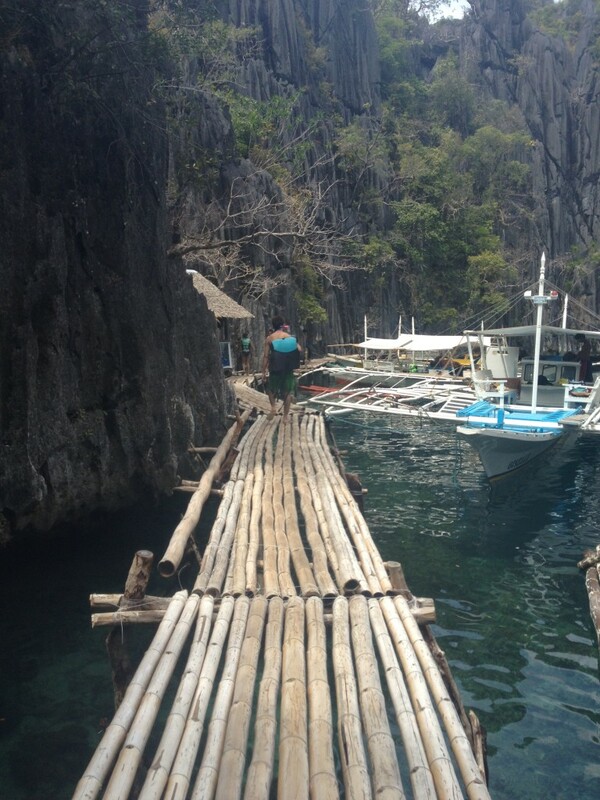 I’d been to many places, but this Palawan trip has got to be the ultimate experience. It’s like that bicycle I’ve always wanted when I was a kid, that car that I want to drive, the house I dream about. Palawan is a dream come true and two months after that trip, I’m still in awe that I’ve actually managed to reach the place. Rarely do I think of going back to a place, especially if it’s far from home because in my head, there are still many places out there left to explore, but for Coron I will make an exception. In fact, I’d fly there in a heartbeat if circumstances permit. That’s how magical the place is for me and I am really not sure if I could express it more vividly as I already did. I’m sure though that it wouldn’t take a lot of convincing for you to want to see it for yourself. I’m going to go so far as saying that if you do make the trip, you won’t regret it. 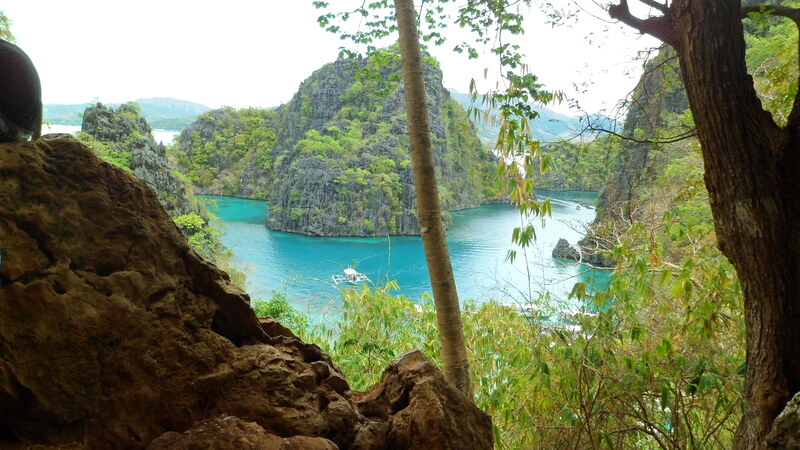 Hope you enjoyed my travel guide for Coron Palawan. 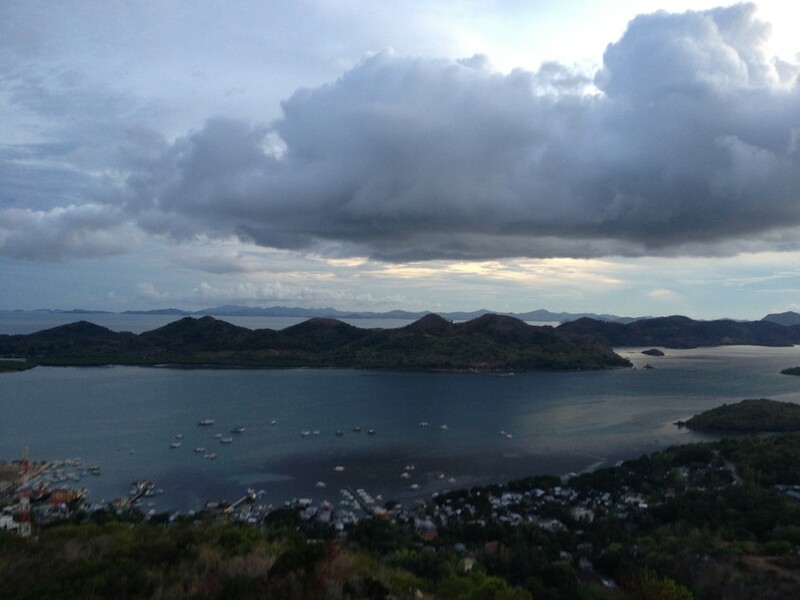 So how beautiful Coron, really is? Google the place, look at those photos or videos. Did your eyes pop? Did you say wow? Well darling… those pictures are not lying. Wow! That Blue Lagoon looks so romantic. (What am I saying) Haha! May I know how much did you spent on this entire trip? I’m planning of solo-backpacking and Palawan seems like a great idea. Ohh this is your first flight pala. 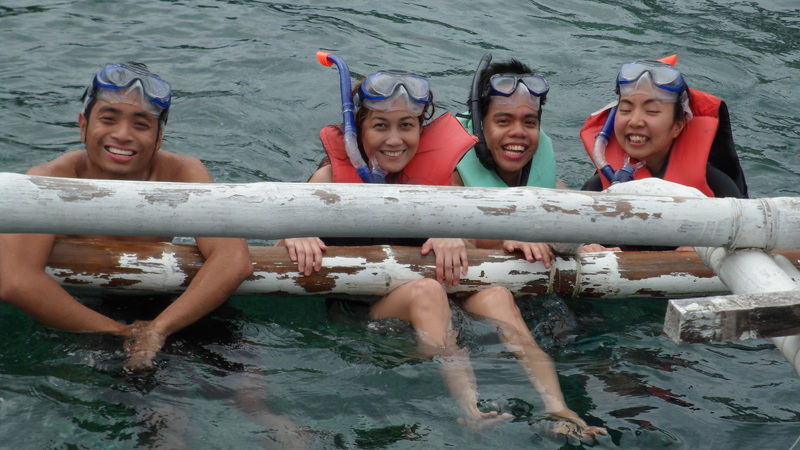 I miss Coron, specifically the underwater world. I never had a chance to visit Mt. Tapyas because it was sooo hot and we did lots of water activities during our stay. Coron is really Magical 🙂 would love to revisit. Coron is a majestic place. Especially its bodies of water. I am glad that you were finally able to get there and have it shared with us. I’ll definitely include this in my list. Thank you so much for sharing your thrilling experience and wonderful photos! Coron really looks like a beautiful pace to visit! It has always been a dream of mine to go to Palawan, either Coron or El NIdo. My brother just went there 2 weeks ago for his honeymoon with his new wife. I skipped this place for our honeymoon because of the kidnapping threats against foreigners back then and although my husband is a local, he looks “imported”. haha Anyway, you found humble accommodations. I would like to try something like that. Maybe someday. Waaaaah looking at your photos just made me miss Coron and want to book another ticket there!!! So beautiful ??? I’ve been to Coron, Palawan several times plus one time we got a Skyjet ticket sale which just costed us PhP 500 each. There were five of us. It was super awesome. 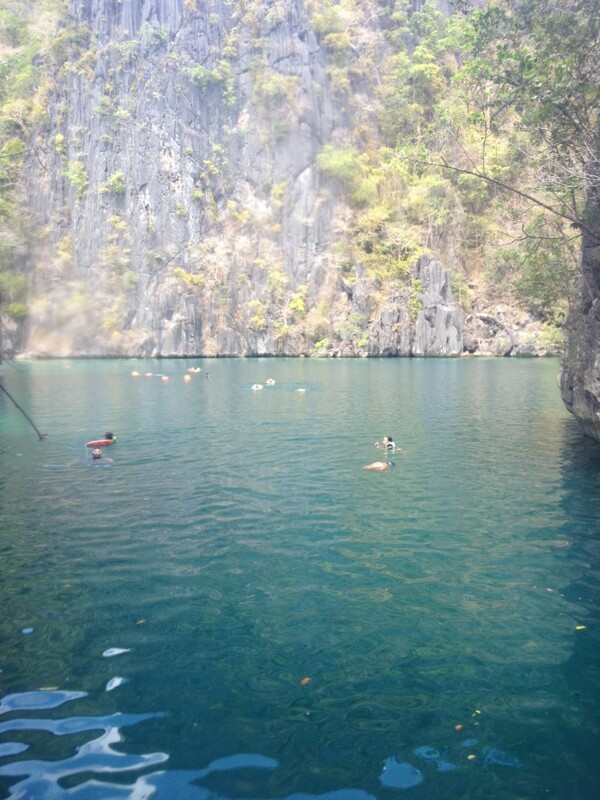 By the way, I super love Coron too especially Kayangan Lake. Next time you visit, make sure to try the other island hopping tours too. Skeleton shipwreck is a good sight too. You can also go to Calauit Wildlife Safari which was created by Marcos and Culion island. Tell me about it, nakakabitin talaga! 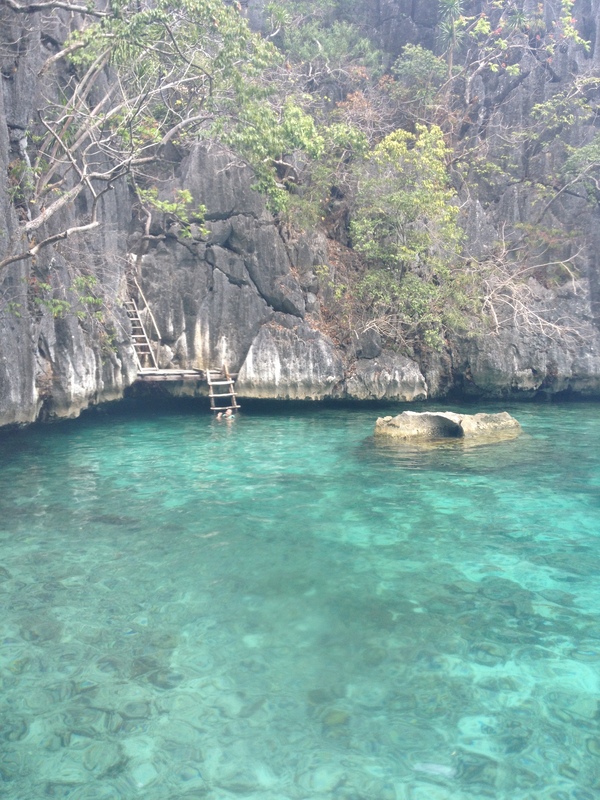 There’s so much more to explore in Coron, even 1 week is not enough. Coron is such a nice town. I remember Coron very well especially all the wrecks as I have seen all of them. I used to get on board sometimes on a cruise ship and one of the stops is Coron, where I, as the dive instructor, would take visitors for scuba diving, and sometimes, if we have the time, and it my profile and schedules allow for it, I would go down with fellow instructors on our own so we can have fun too, rather than always taking care of visitors. Kayangan Lake is also absolutely beautiful! Been there a few times too! 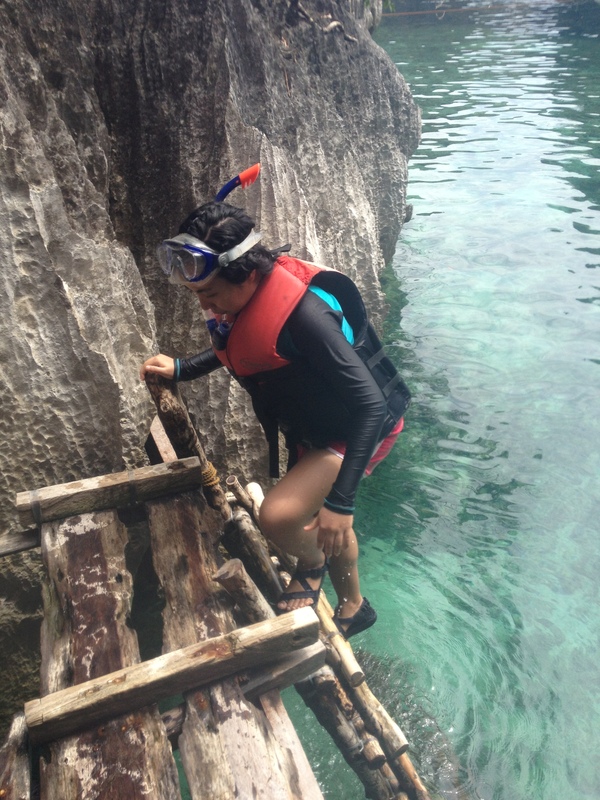 I’ve only done snorkeling but I’m sure it would be so much fun to explore the underwater world in Coron up close. Hopefully, I’d have an opportunity to scuba dive when I go back there. 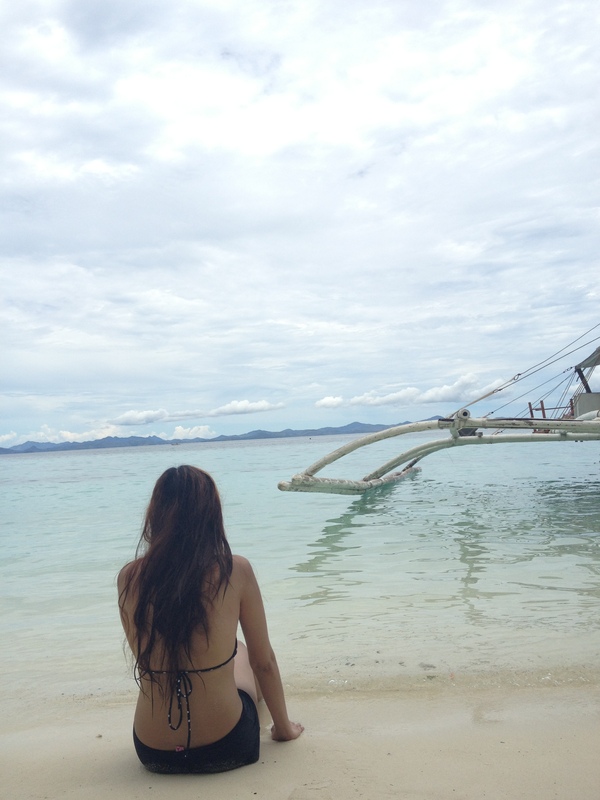 I really loved Coron! Super pretty! I tell all my foreign friends they have to see Coron and Palawan. It’s what I tell my friends too, pinoys and foreigners alike.